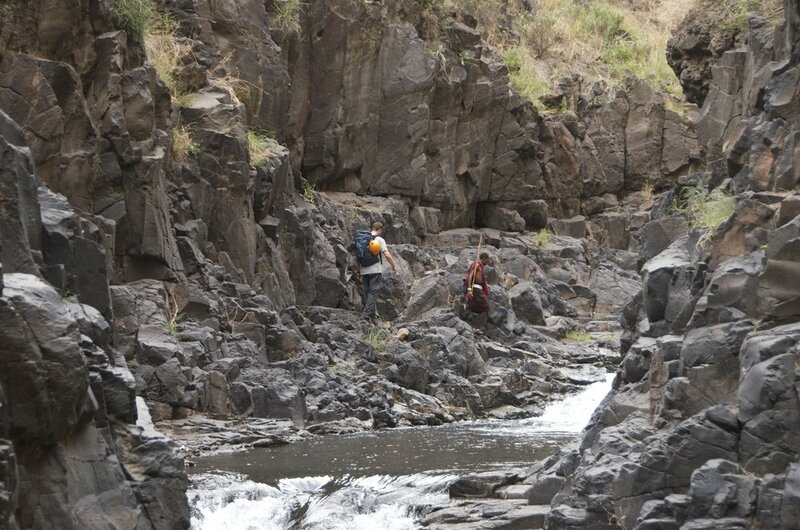 This challenging trek covers over 130km of rugged and wild terrain in Tanzania. The route starts outside Arusha, the safari capital of East Africa. Starting the challenge at the base of the Ngorongoro Highlands in Lake Eyasi, the trek then crosses the highlands and drops into the Lake Natron area. 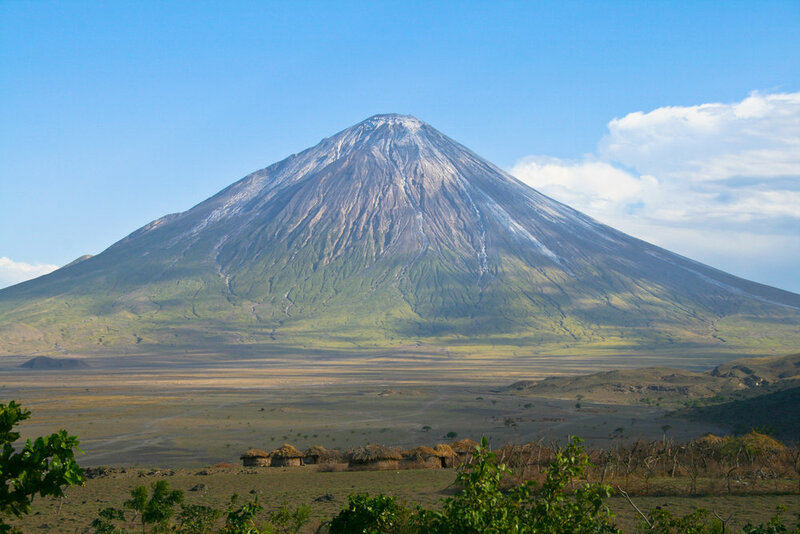 Hiking under the shadow of the intimidating Lengai volcano, the route will take you past the soda lake, and on a unique trek around the edge of the Ngorongoro Crater itself. 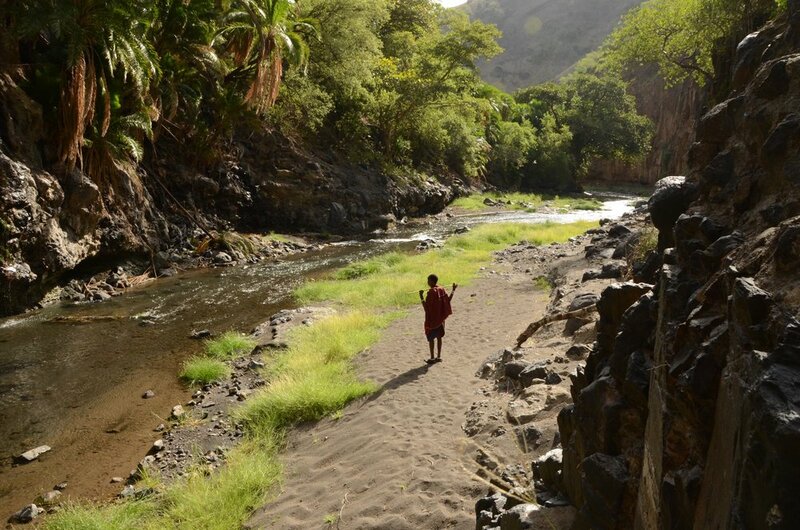 Passing remote Maasai villages, beautiful waterfalls, and descending to the eery blood waters of Lake Natron. This is a tough hike requiring the team to cover up to 28km per day for several consecutive days over difficult terrain. A fine challenge for those who want to experience a truly wild walk in East Africa. 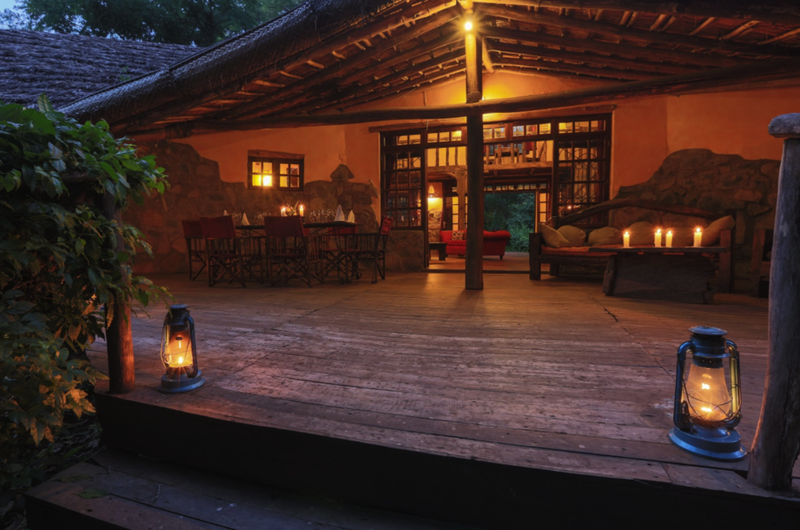 Before and after the trek we use a handful of select lodges in Arusha, such as Lake Duluti Lodge. 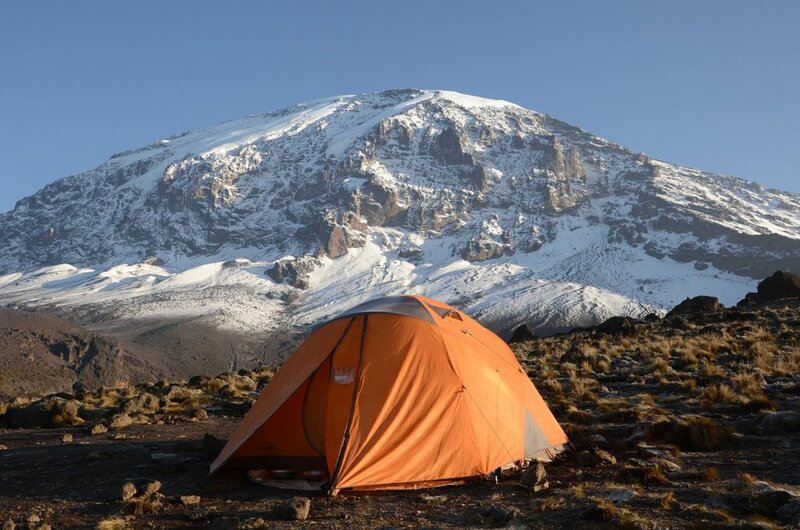 When on the trek, we mobilise a very comfortable camp which includes large sleeping tents, comfortable dining areas, a shower tent and toilet. All meals are prepared by one of our expert cooks, who’ll provide a varied and wholesome menu to keep you energised for the trek. 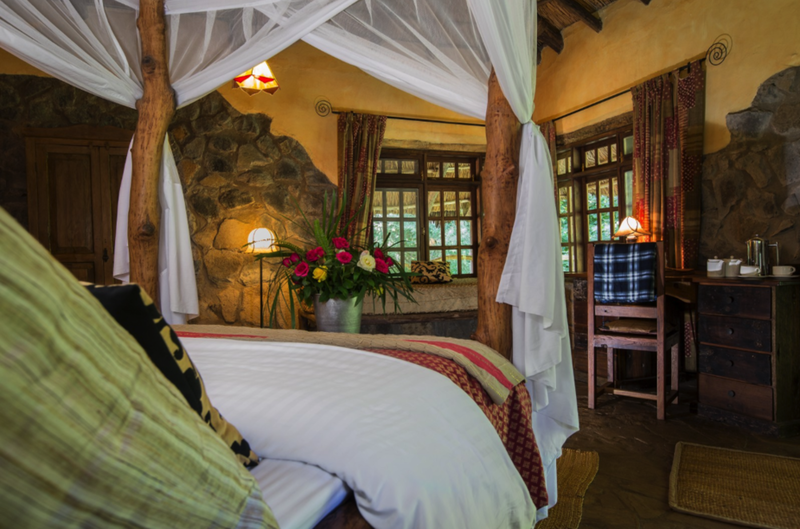 On arrival you are met and transferred to your lodge in Arusha. There is a briefing in the afternoon and a chance to meet the guiding team. Dinner & overnight in Arusha (half board). This morning we transfer in our safari 4x4 vehicles up the rift valley and through remote villages. On route stop off at a scenic spot for lunch and then continue on to our camp, arriving in the late afternoon. Here we do final checks and briefings overlooking the seasonally dry soda Lake and retire to bed. Overnight Expedition Camp (full board). Today is the first day of trekking and we settle into a routine that will soon become familiar to all. Once we are in the Ngorongoro Conservation Area boundaries we are accommpanied by an armed ranger and set off up the Eyasi rift into the Ngorongoro Highlands. The ranger and trip leader keep pace in front and look out for large game. We take lunch and do our hydration checks and then, as the heat of the day passes, continue on up into the cooler highlands. By late afternoon we arrive in camp and our camp team have hot showers and dinner waiting. Overnight Expedition camp (full board). From the western side of the Ngorongoro Highlands we now head East. Our route takes us across hilly country and then an open depression. We cross the dirt Serengeti road and catch our first views into the world famous Ngorongoro Crater. Our expedition presses on around the rim and into areas rarely seen by visitors. 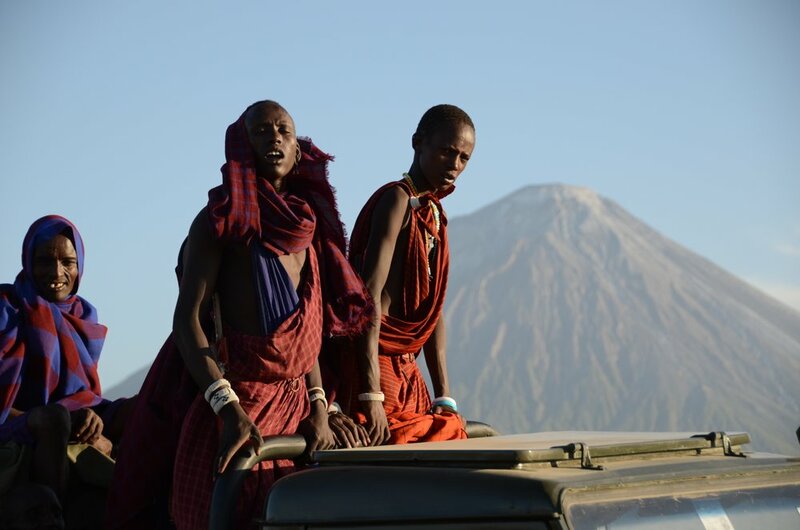 Meetings with the local Maasai are serendipitous rather than contrived, and by late afternoon we arrive in camp. Dinner & overnight Expedition Camp (full board). thicker Acacia lahai woodlands, meandering away from and then towards and on the edge of the crater rim. The views are spectacular. We arrive in camp in the afternoon and have the chance to head up to the Olmoti waterfalls for those that need more exertion! Dinner & overnight Expedition Camp (full board). Today we reach the Eastern side of the Ngorongoro Highlands. The open plains here support eland and small plains game. Exceptional sighting include cheetah. The hiking takes us up to and around the prettiest crater lake in East Africa, Empakai Crater. The crater floor some 600 feet below is partially filled with a crater lake and supports flamingoes and other wildlife in its forested slopes. 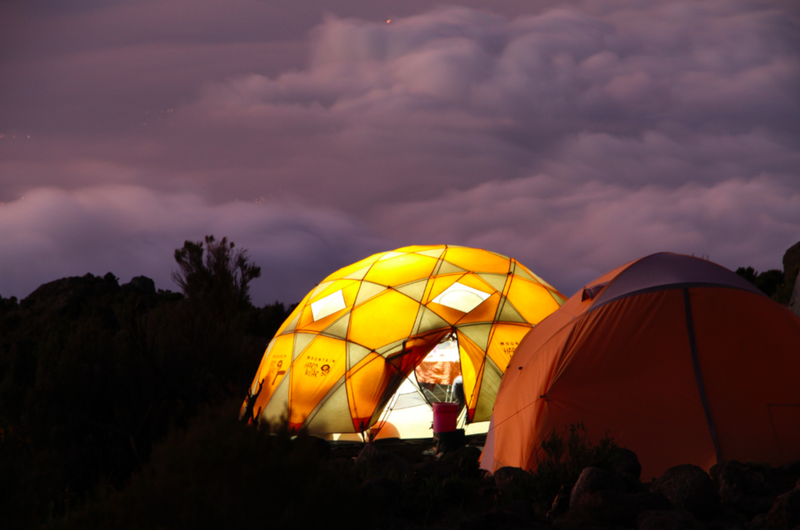 We arrive in camp in late afternoon with amazing views of the rift valley and Lengai below. Dinner & overnight Expedition Camp (full board). From the relative cool of the Ngorongoro Highlands we now start to descend following the tracks of Maasai herdsmen. Ol Donyo Lengai lies just to the East and dominates the ecology of this whole area. Ash from this mountain has layered the land all the way into the Serengeti short grass plains and the impact of the last eruptions in 2007 are clear to see. We continue on to our camp and have time to relax in the late afternoon. Dinner & overnight Lengai view camp (full board). The final point to point trekking stage takes us down into one of the most obviously volcanic areas in Africa. Here, dry air and scorching sun are the norm. Life is extremely arduous here and the Maasai frequently loose whole herds to extreme drought. Our trekking starts early and we need to be very careful with our hydration. By the late afternoon we arrive in camp and can head to the river to cool off. Dinner & overnight Natron Camp (full board). After breakfast we set off in our safari vehicles back to Arusha, aiming to arrive in time for late lunch and time for some shopping. In the late afternoon we transfer to Kilimanjaro International airport and connect with flights onward. Most of the year is good to travel but try to avoid November, March & April as these are the wettest months. Long days covering big distances (up to 28km for consecutive days) in a challenging climate. This is a tough trek.